Fair Work Claims has extensive experience recovering unpaid wages and entitlements for our clients. 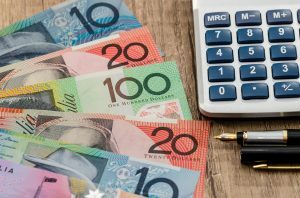 Unpaid wages happen when your employer doesn’t pay you the minimum monetary amount, or allowances and entitlements that are outlined in the agreement or award that you work under. It can happen by mistake, but in many instances, unpaid wages is a deliberate action taken by your boss to steal money that you are rightly and lawfully entitled to. From July 1 2018, the national minimum wage is $18.93 an hour, or $719.20 a week. If you are being paid less than this, you are being ripped off, and need to seek expert assistance to recover what you are owed. How do I know which award applies to my job? Different jobs in different industries have different minimum pay rates and allowances and entitlements. The specific wages and entitlements that you are eligible for can depend on your age, the state you live in, the industry you work in, your qualifications and your duties and responsibilities. To check which award applies to your job, visit the Fair Work Ombudsman website and use the Find My Award Pay Calculator. Fair Work Claims are experts at investigating, calculating, and recovering unpaid wages, and can assist you through every step of the process. We will request your pay records from your employer, and then our analysts will calculate the difference between what you were paid, and what you should have been paid. 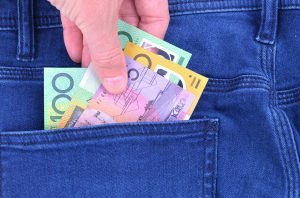 Our intimate understanding of modern awards, including overtime, penalty rates, loadings, allowances and entitlements ensures that we will uncover every last cent that you are owed. We will then negotiate with your employer to recover your unpaid wages. If necessary, we will escalate the matter by taking formal legal action in the Federal Court or Federal Circuit Court. A fast and economical way to find out if you are owed unpaid wages is with a Wage Theft Check. For just $299, we will access your pay records, and crunch the numbers to calculate exactly how much money you are owed. We will then provide you with a detailed report of any underpayments we uncover, and advise you how to go about recovering your money. At that point, you will also have the option of engaging our services to commence recovery action on your behalf. For help and advice about unpaid wages, please contact our friendly team at Fair Work Claims on 1300 853 837 or click here to register for a quick call back from one of our consultants.